This is not good news for gun-grabbing Leftists. Chicago should take note. 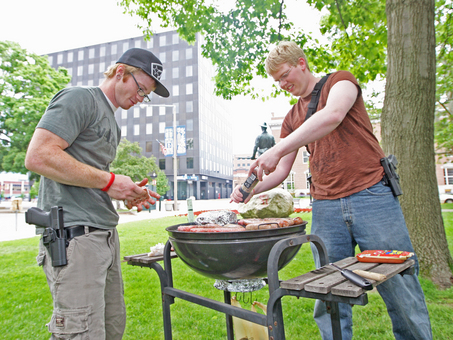 There was a BBQ in Michigan with open carry gun enthusiasts, and not a single shooting or death occurred. When you consider that in Chicago, the Leftist gun-free zone, the other weekend 13 people got shot. And in the average weekend in gun-free Chicago 5 people are killed, you understand how impressive this feat is. 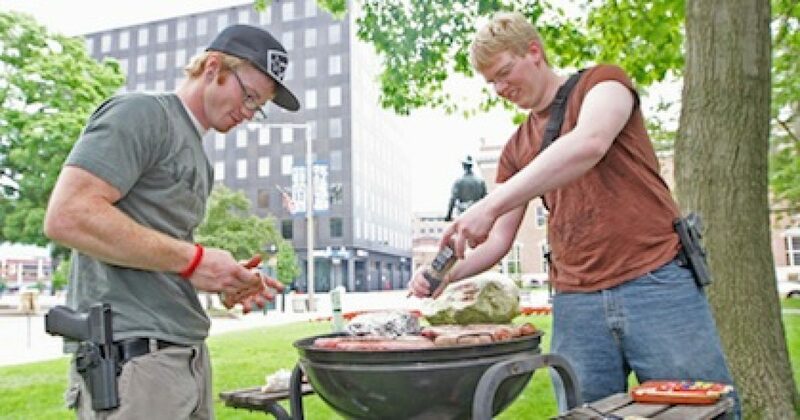 200 responsible gun owners showed up to an “open carry” barbecue held in Riverside Park, Michigan over the weekend and were encouraged to attend the event while openly carrying their firearms. Astoundingly, nobody was killed. The event, attended by law-abiding gun owners, was designed to raise awareness that the police and criminals are not the only groups of people who carry guns in this country. ”We’re trying to show people there’s a third group, ordinary everyday good people,” said Phillip Hofmeister, president of Michigan Open Carry. There were even kids present at the Michigan open carry barbecue with toy guns, and yet nobody was killed. Ironically, no criminals showed up to shoot up the park.